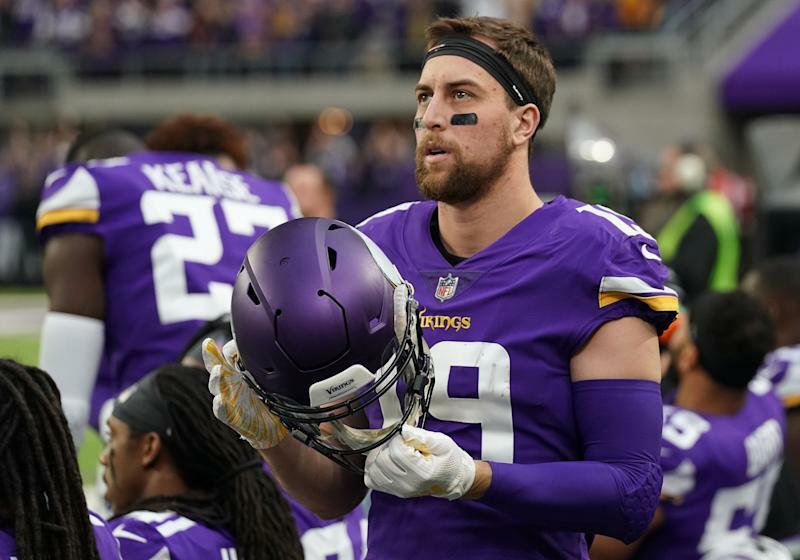 The Minnesota Vikings and wide receiver Adam Thielen have reached agreement on a four-year extension worth $64 million, according to Thielen's agent Blake Baratz. In 2018 Thielen earned a Pro Football Focus grade of 89.5, by far the highest mark on Minnesota's offense. Thielen's new deal, which could be worth up to $73 million, keeps the wide receiver under contract through the 2024 season while resolving questions about his immediate future before the Vikings begin offseason workouts on Monday. He's posted back-to-back 1,000-yard campaigns after becoming the franchise's first 1,000-yard receiver since Sidney Rice in 2009. The Detroit Lakes native signed with the Vikes in 2013 as an undrafted free agent on a contract of just $1.48M over three years. Thielen made 113 receptions (third most in team history) for 1,373 yards (fourth most in team history) and nine receiving touchdowns last season. Thielen, who had previously agreed to a four-year, $19 million deal with the Vikings in 2017, had cap hits of $3.746 million and $6.1 million the last two seasons. It could very well make Thielen, 28, a Viking for life.